Update of the Avatar #57 – 01/24/14: Play Release 2 Now, BotA Chapter 6, Founder Bow, Ankh of Virtue, Silver Serpent Necklace, Scissors of Prosperity, and More! Come Play Release 2 Now! Release 2 successfully launched yesterday, January 23, with thousands of backers downloading, patching, logging in, and exploring the content! We need all your help with stress-testing the servers and testing the game systems, so please join us in playing Release 2. In this release we’ve added the second town of Kingsport, a list inventory, increased character customization, recipe books, jumping and the very first stages of crafting. Crafting will initially focus on refining and production for smithing, tailoring and carpentry. There are more than 100 recipes with chests full of crafting resources spread throughout the land. 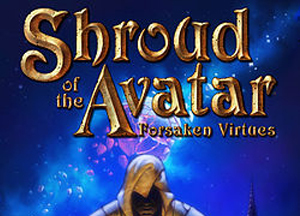 Thank you to our loyal backers of Shroud of the Avatar. Release 2 access for all backers at First Responder / Adventurer level and above begins this Thursday, January 23, at 10:30 AM Central Time. Release 2 access will end on Saturday, January 25, at 10:00 PM Central Time. Starting today you can begin installing and patching (see instructions below), but login will not be enabled until Thursday morning. We are happy to say that not only are we are going to deliver just about every single Release 2 item (except for Shopping) but that we also were able to put in some extras. Here are those deliverables again, along with some extra notes and the bonus deliverables in italics. Update of the Avatar #56 – 01/17/14: $3 Million Milestone, Release 2 Countdown, BotA Chapter 5, Edelmann Cabana, Founder Weapons, Cooking Pot, and More! 6 Day Countdown to Release 2 Launch! 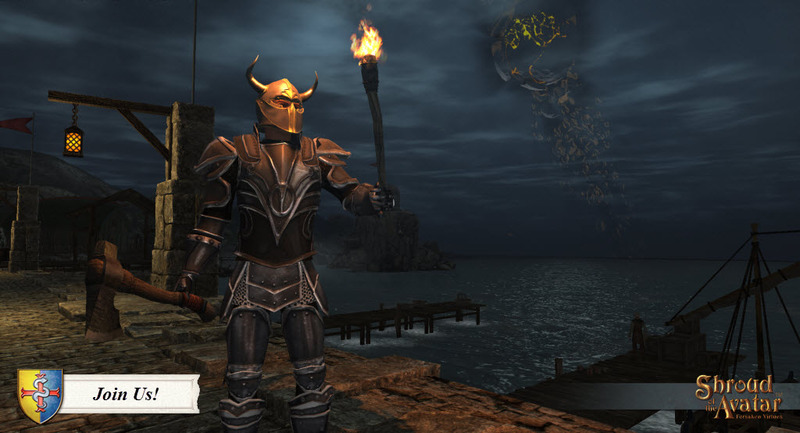 Shroud of the Avatar has crossed the $3M milestone thanks to your generous support! The team and I would like to express our deepest gratitude to all of our Backers for your belief in both our team and our vision for New Britannia! To celebrate our $3 Million milestone, and the launch of Release 2, I’m hosting a late night Video Hangout next Thursday, January 23. We’ll post more details about the video hangout next week. We’re only 6 days away from the launch of Release 2 and the team is working feverishly to get it ready! We’re all looking forward to another great turnout from our backers, so please come check out the new features and content, and help us find bugs and provide design feedback! Stay tuned for a special update next Wednesday, January 22, providing all the details about Release 2. Release 2 is only available to backers starting at the $45 Adventurer Pledge Tier (and $25 Early Founder First Responders), so if you want to play and haven’t backed the game yet, then please make sure you have registered on our website and made your pledge. Update of the Avatar #55 – 01/10/14: BotA Chapter 4, SotA #1 on Indie MMO Top Ten, More Spoony, Citizen Waterfront Cabana, & More! Chapter 4 of the serialized SotA novel, Blade of the Avatar (BotA), written by Tracy Hickman & Richard Garriott, is now available for download! If you are an Early Founder, or you purchased BotA in the Add-On Store, then you will find a download link for the current installment of the novel on your personal SotA account page (log into SotA website and click on “Account” in the top-right corner). If you are a Kickstarter backer you’ll need to have your Kickstarter account linked to the SotA website (click here for instructions to link your Kickstarter account). Aren awoke with a start, sliding his feet over the edge of the cot and coming to sit in the familiar gloom of his tent. He was awake at once, though noted he was feeling a few aches and pains that were unfamiliar to him. He still wore the tunic and the breaches from the previous day. He reached for his nearby boots, dragging them on even as he spoke. “He… He would like to inquire as to just how soon the Victory March might begin.” The voice from beyond the tent flap was young and high-pitched. Aren felt some sympathy for the young warrior. Few soldiers in the Army of Conquest received a message from the general with politeness. “Yes, sir! And… Err…” “What is it, boy?” Aren could hear the hesitance in the voice outside. 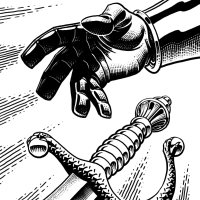 “The General asks that you bring the tribute that you discovered in the ruins yesterday,” the warrior said, tripping over his words. Download your copy of the latest installment of BotA to read the rest of this exciting chapter! 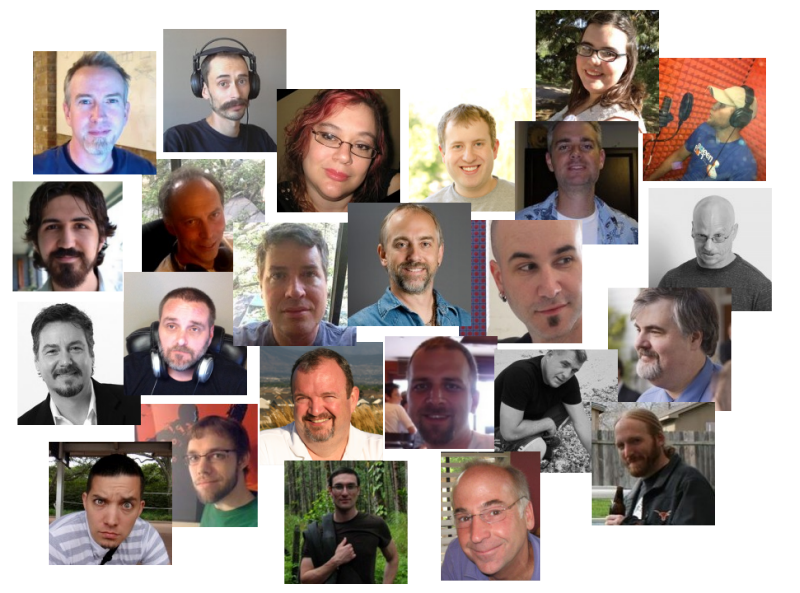 Update of the Avatar #54 – 01/02/14: SotA on 2014 Top Game Lists, More Spoony, Benefactor Cloak, Add-On Store Conversion, Darkstarr Salute, Hammer of Prosperity, & More! Happy New Year Fellow Avatars! MMORPG.COM Ranks SotA #2 Most Wanted MMO of 2014! The staff at MMORPG.com are kicking off the New Year with their Top 10 List of The Most Wanted MMOs of 2014, and Shroud of the Avatar came in at #2! Forbes Includes SotA in their Best Video Game RPGs of 2014 and Beyond! Happy Holidays from the SotA Team! 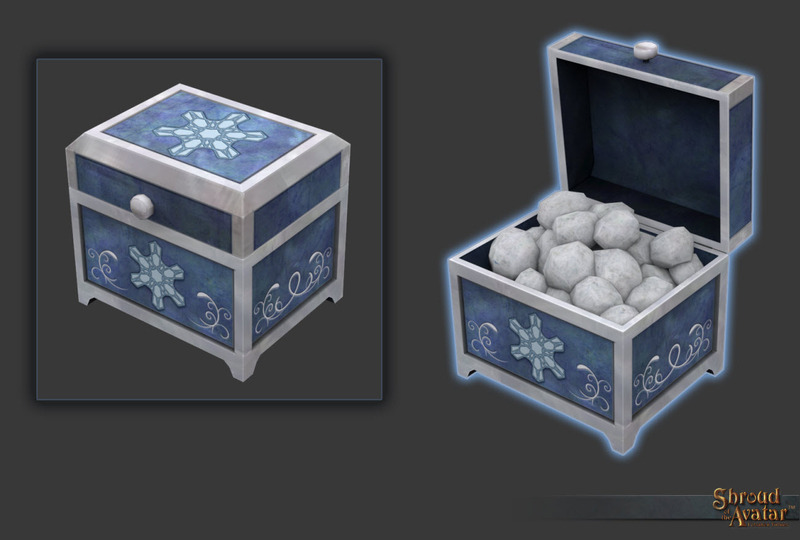 And in the spirit of the season, we’ve added the Replenishing Snowball Box to the basic rewards of all pledge tiers as a holiday gift for our backers. This magical box of 50 snowballs regenerates annually during the holiday season. Update of the Avatar #53 – 12/20/13: Release 1 Success, More Spoony, BotA Chapter 3, Duke’s Castle, Knight Home Revisions, Hoe of Prosperity, Town & City Lots! Welcome to this week’s Edition of Update of the Avatar! We have a lot of great information to share about our successful launch of Release 1, plus much more! 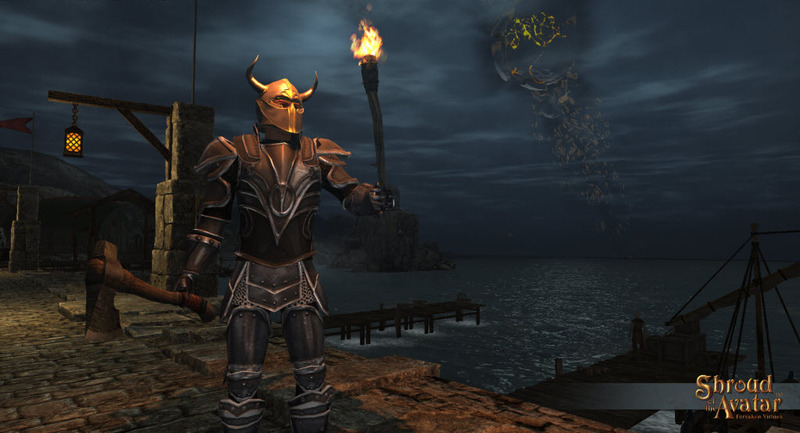 Update of the Avatar #52 – 12/13/13: Play Release 1 Now, More Spoony, BotA Chapter 2, Sickle of Prosperity, Founder Armor, Darkstarr Cloak, and Holiday Goodies! Release 1 Open to Play until December 14! Come Play Release 1 Now! Release 1 successfully launched yesterday, December 12th, with thousands of backers downloading, patching, logging in, and exploring the town of Owl’s Head! We need all our backer’s help with stress-testing the servers and testing the game systems, so please join us in playing Release 1. In this version, you can create an avatar and equip them with different clothing, armor and weapons (scattered throughout town in chests). You can also select a house from the entire list of player houses, even the vast Lord of the Manor estate.There are chests of furniture and decorations all over Owl’s Head for you to pick up and outfit your newly established homes. You will also be able to try out the dialogue system by conversing with NPCs. The Spoony Interview/Roast: Britannia Burns – Part 2! This week we’re featuring the next installment of the Spoony interview/roast of Lord British! Hope you enjoy it as much as we did! British hates the little children. Update of the Avatar #51 – 12/06/13: BotA Chapter 1, Dev+ Pre-Release 1 Access, Kariela’s Song, Crystal Sword, Skinning Knife, and Reindeer Call! Gearing Up for Release 1 Next Week! Chapter 1 of the serialized SotA novel, Blade of the Avatar (BotA), written by Tracy Hickman & Richard Garriott, is now available for download! If you are an Early Founder, or you purchased BotA in the Add-On Store, then you will find a download link for the current installment of the novel on your personal SotA account page (log into SotA website and click on “Account” in the top-right corner). If you are a Kickstarter backer you’ll need to have your Kickstarter account linked to the SotA website (click here for instructions to link your Kickstarter account).